The festive music and the countdown to the holiday season seems to be getting earlier and earlier every year. The Grinch would definitely not be pleased to know that the 2017 Holiday hoopla is starting before Thanksgiving, or Halloween has even passed. It seems that the industry must always look and plan ahead instead of enjoying the current holidays. 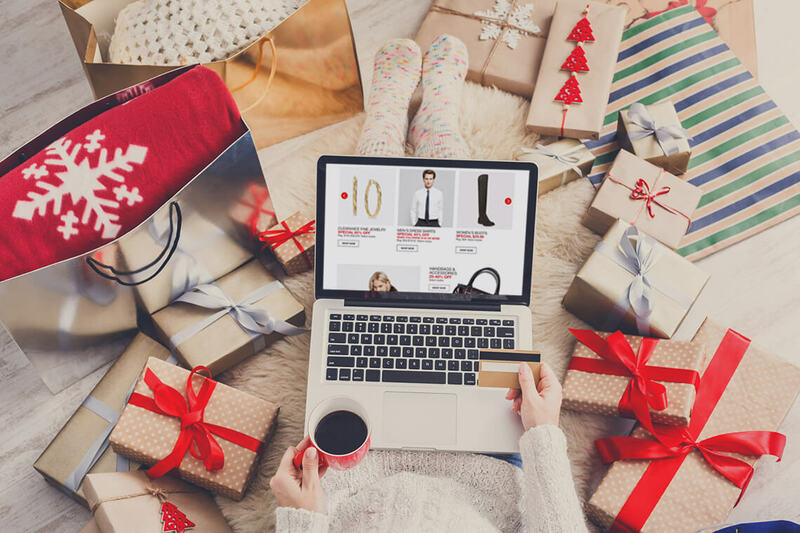 For eCommerce companies the holiday season countdown starts even earlier. Ecommerce companies must start preparing for their own special Internet holiday the infamous Black Friday and Cyber Monday. It has been predicted by experts that the 2017 Holiday Season for eCommerce companies will grow by nearly 10% (Gensenhues, 2017). Ultimately, these holidays have been the most economical way for individuals to get their holiday shopping done right off their couch. Remember that people will buy on these days purely for the sake of convenience and the price. The goal is to give your customer the best chance to create a conversion for your company during the holiday season. So what does that mean? Keeping up with the current holidays is important when it comes to site design. Think of your eCommerce site the same as you would your house or even your brick and mortar store. Decorating for the holidays is essential for setting the holiday mood up right for your family and friends. The same concept should be applied to your eCommerce store. Having your customers over to your website during the holiday season should be relatively festive. Easy ways are adding a holiday banner to your social networking sites, marketing emails, or homepage. The best ecommerce sites will decorate for the holidays. It doesn’t take much time, or effort to create the holiday season on your website and your customers will appreciate the sentiment. During last year’s Black Friday Season 40% of all purchases came from mobile telephones. Ignoring your mobile customer base is ignoring a significant amount of traffic that could be coming to your eCommerce Store (Smith, 2017).Making sure that all your content is responsive and customers are easily able to navigate, regardless of age or technical ability, will ensure a more successful holiday eCommerce shopping season. Furthermore, if that isn’t convincing enough the statistics show that 40% of all users will go to a COMPETITOR if they have a bad mobile experience (Smith, 2017). Your online sales will see a difference when you optimize for mobile. The biggest mistake an eCommerce company can making during the holiday shopping season is not offering free shipping. Big eCommerce companies always offer free shipping and that maybe tough to compete with, but that will make all the difference to your customer. For example, if your website is selling a product that is available somewhere else, and that somewhere else provides free shipping rates that is where your customers will go. Many companies use a flat USPS shipping rate, which allows for the weight of the box to be irrelevant. Check out this post for packing methods for ecommerce. The return policy on your online store should be straight forward, and clear for your holiday season. If there is a chance for ambiguity, a customer may go to a platform where the policy is more well-defined. Committing to goods online can feel like a gamble especially when shopping for a particularly picky family member. In these cases, customers need to clearly understand the site’s return policy before they make the purchase. Although this is extra important for the holiday season, your return policy should be clear all year around. Adding gift certificates to your website is one of the best ways to add additional revenue to your company. Many holiday shoppers will resort to buying a gift certificate because they are unable to make a decision on what product is best, or they simply have run out of time to buy specific presents for every individual. Make sure that you offer a E-Gift certificate, and a festive way to send it to their loved one. Furthermore, the most important aspect is making sure that your codes work for the gift certificates, and that the usage instructions are crystal clear. There is nothing better for your customer to arrive on your holiday site to find a pre-curated gift list available. By curating the best products for your customers to buy for the holiday season, you are saving them the process of having to weave through your store to find the best products. That may seem counter intuitive for brick and mortar retailers, but for ecommerce companies’ efficiency is key for customers. Sending out those gift ideas in a marketing email is quick, and easy way to draw attention to all your best products. Pluse, emails help keep your website on top-of-mind of your existing customers. During the 2017 holiday season the eCommerce business is survival of the fittest and making slight adjustments will help your eCommerce company thrive. In terms of making priorities for your company, the top holiday concern should be usability and efficiency. Although these concerns are #basic they are holiday foundations that could make a holiday miracle happen! Check out our past post on holiday preparation for more tips!